Ny video, og skiva kom i dag. Ny sang fra bandets kommende skive, som kommer 26. denne måneden. Se litt lengre ned for info og cover. Nå foreligger det smakebit fra det kommende albumet. Nå er releasedato og cover på plass. Nuclear Blast slipper bandets tredje skive, som er det første på tredve år :). 'The Third Secret' kommer i sjappene 26. oktober, og vokalist/gitarist Kendall sier at de er veldig stolte av skiva, og at "...we hope the fans will hear the classic threads of the Fifth Angel they know and love, along with the growth and maturity the individuals of the band have gone through over the years. We hope they love the new songs as much as we do!" Coveret ser du til høyre her, det er laget av Zsofia Dankova, som også står bak artwork til Powerwolf. Bandet signerer deal og melder inn nytt album. Det er Nuclear Blast som skal slippe bandets tredje studioalbum, 'The Third Secret'. Release er i september. Trommeslager Ken Mary:"Over the years, we have worked with some amazing record companies, such as RoadRunner Records, Shrapnel Records, and one of the biggest labels in the world, Epic Records. However, we are even more excited to be working with the Nuclear Blast family for one simple reason: the incredible people that run this company really love the music itself, and are themselves fans of great metal music. This indeed is a unique and astounding situation, and we could not be more excited to make this announcement of making Nuclear Blast our home! 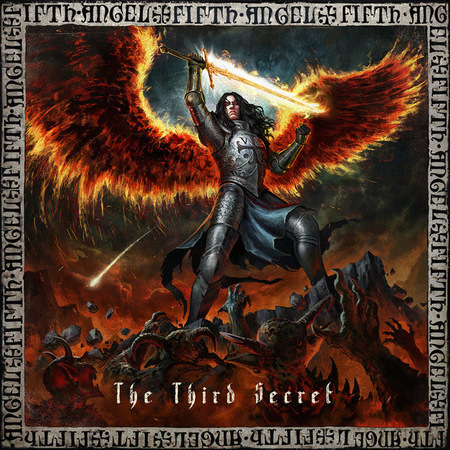 We also want to thank all of the metal warriors that have kept the spirit of Fifth Angel alive and well for over three decades, and we are so very excited to finally...finally...finally announce the release of our long awaited new album The Third Secret." Hardrockbandet får sine to klassikere reutgitt. Det er Metal Blade som kjører ut disse, og vi snakker to skiver som i alle år har vært ettertraktede på lp, og som har høy stjerne blant fans av hardrock av den tunge og melodiøse typen. 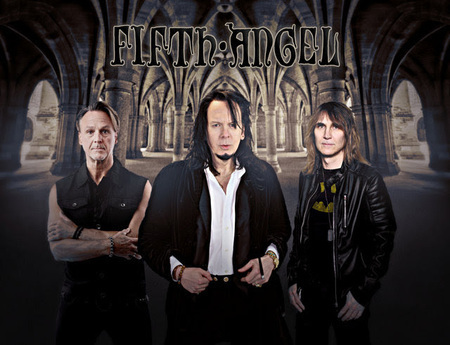 "Fifth Angel is one of the best melodic Heavy Metal bands of all times! Both their first two albums are true classics and have stood the test of time easily. The band released their self-titled debut album in 1986, the successor Time Will Tell was released in 1989. 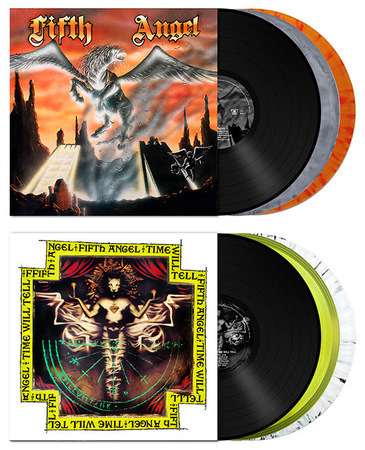 Both albums have been out of print for a while and will get a luxury treatment for these re-issues. Expect the following on release date, May 18th!"